Jason DeParrie Turner interviews author Aaron Kirk Douglas on his memoir about his yearslong mentorship with a troubled Latino boy through the Big Brothers Big Sisters program. "I've read this book more than five times and each time I feel it makes me want to be a better human. “Douglas’ book does a beautiful job of connecting the past to the present, particularly in the sections that depict his blossoming relationship with his parents as they aged. His memories of being a gay teenager in the ’70s are also full of engaging personalities, sometimes monstrous and sometimes beautiful, which make the story hard to walk away from. . . Douglas’ compelling story moves toward a conclusion that’s a genuine testament to his tireless dedication to his Little Brother. A gay Oregon man reflects on years of mentoring a troubled Latino boy, and his life lessons learned in return. 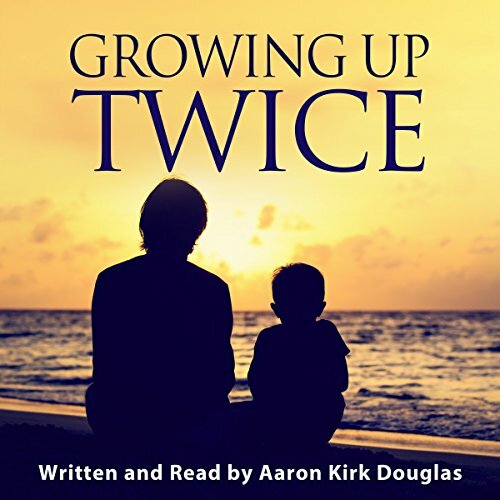 In this first-of-its kind memoir, an award-winning mentor in the Big Brother/Big Sister program, Aaron Kirk Douglas illuminates the emotional turmoil inherent in mentoring an at-risk youth. He relates how it pushed him to become more than just a weekend-toss-the-ball-around kind of mentor. In his relationship with Rico, a fatherless foster child he meets through Big Brothers /Big Sisters, Douglas must face the memories─and pain─of growing up gay in rural Oregon without the love and acceptance he so desperately craved from his own father. His journey leads him to forge a new kind of family—the kind you create for yourself. Want to see if the author is coming to your town? Aaron and his Little Brother are available for no-fee engagements to raise money for mentoring causes. Email editor@newsworthybooks.com or call our offices to learn more.